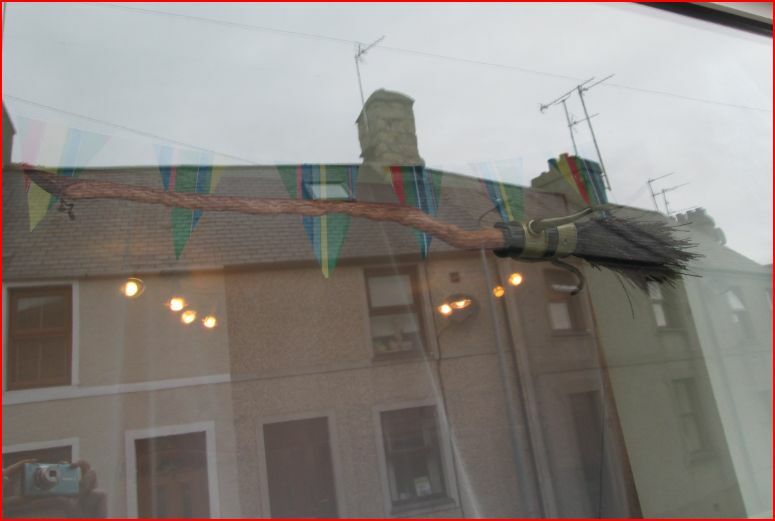 Eye of newt, wing of bat…. 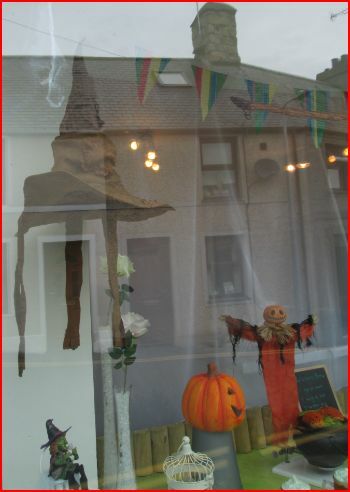 A lot has been happening over the last few weeks, the shop has been very busy. Along with some weddings I had once again been asked to do some epic sympathy tributes, pictures of which will be posted on the blog in a few weeks time. 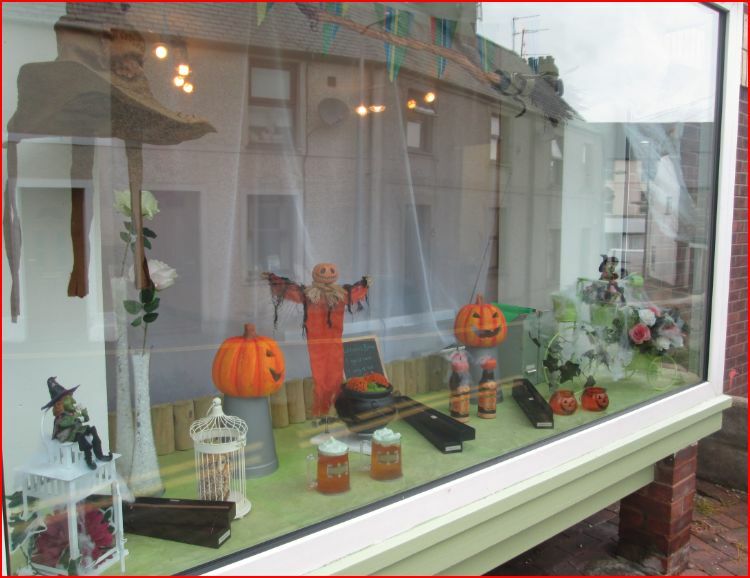 Today saw the shop window change ready for Halloween!!! 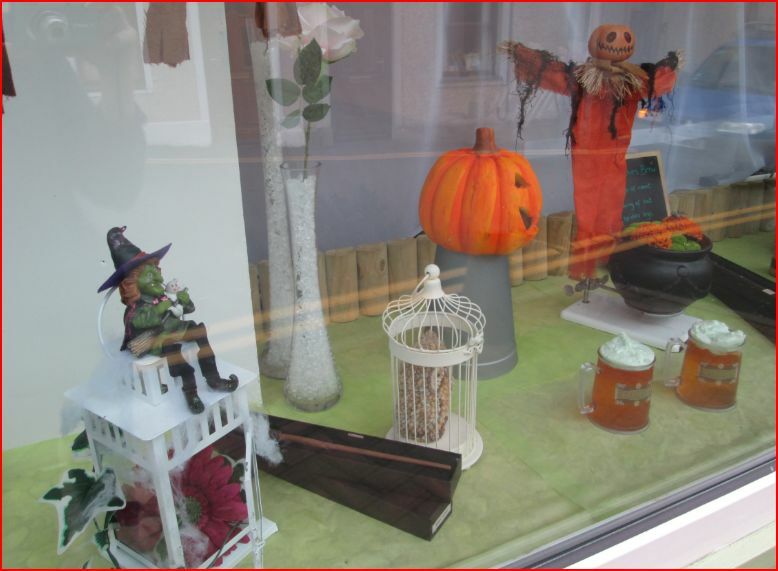 Most of the items in the window have been kindly lent to the shop to achieve the overall look. 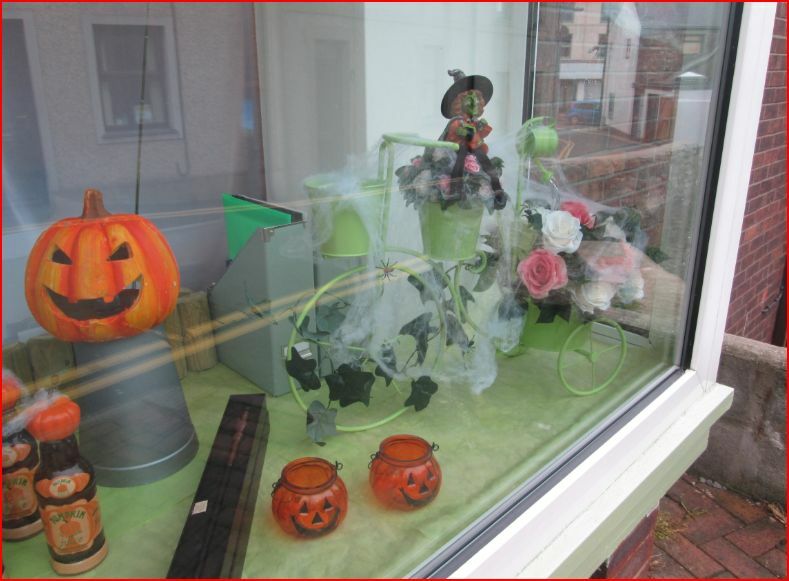 It is always exciting to change the window and see the reaction of people as they look at the items on display! Most adorable are the children who push their noses up against the glass to make sure they see everything! 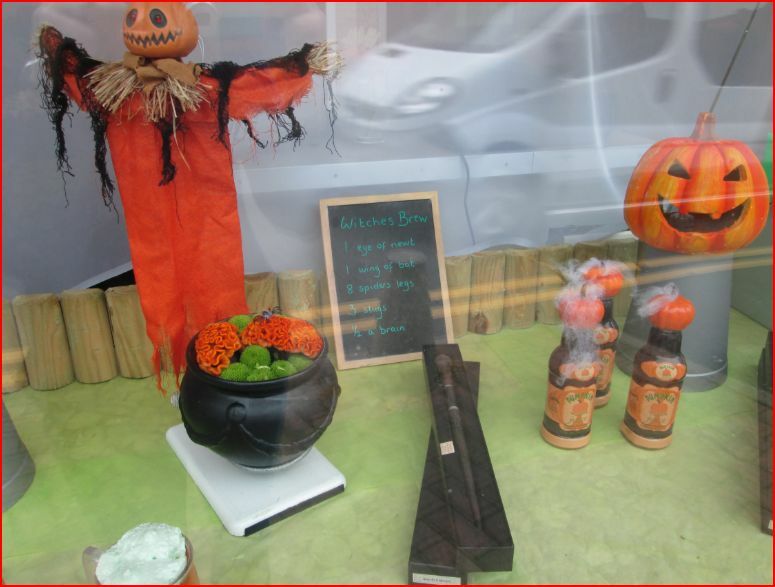 From a flying broomstick to a delicious butterbeer, from a witches cauldron cooking brains to a wizards owl, the window display has a truly Halloween feel complete with webs and spiders!